Die Demokratische Republik Kongo (DR Kongo) ist eines der größten Länder Afrikas. Sie liegt am Äquator und wird von mehreren großen Flüssen durchzogen. Vor allem der Kongo-Fluss ist bedeutend. Große Flächen des Landes sind mit dem für das weltweite Klima wichtigen Regenwald bedeckt. Im Osten prägen Bergregionen die Landschaft, Das Klima im ist tropisch, heiß und feucht. Die Temperaturen variieren etwas im Jahreszeitenverlauf und hängen unter anderem von der Höhenlage ab. 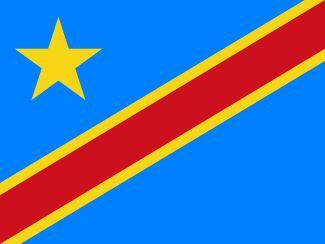 The Democratic Republic of Congo (DRC), formerly known as the Republic of Zaire, is geographically the largest state in Southern and Central Africa. It is situated at the heart of Africa, and lies on the Equator, covering an area of 2,345,095 km². The DRC has 37 kilometres of coastline and a geography characterised by a vast central basin low-lying plateau rising to volcanoes and mountains in the east. More than half the country is covered by dense tropical rainforest. The country is traversed by numerous rivers with the Congo River being the largest. The DRC has a tropical climate with two distinct seasons; the 'dry season' (18 to 27oC ) called 'Congolese Winter', which is from June to August. The 'rainy season' (22 to 33oC) runs from September to May with its heavy, monsoon rains. Temperatures are hot and humid in the central region,cooler and drier in the southern highlands, and cooler and wetter in the eastern highlands. 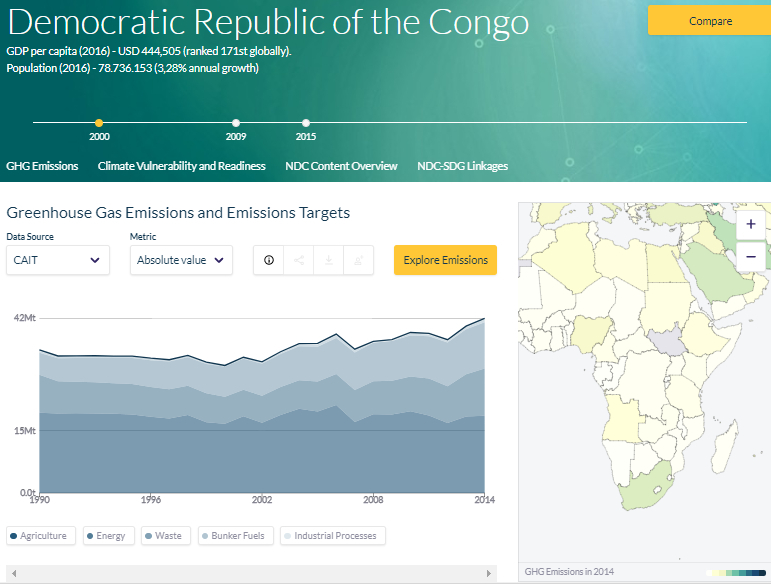 EJN: Congo Basin Parks on the Precipice? ReliefWeb: CC News "DR Kongo"